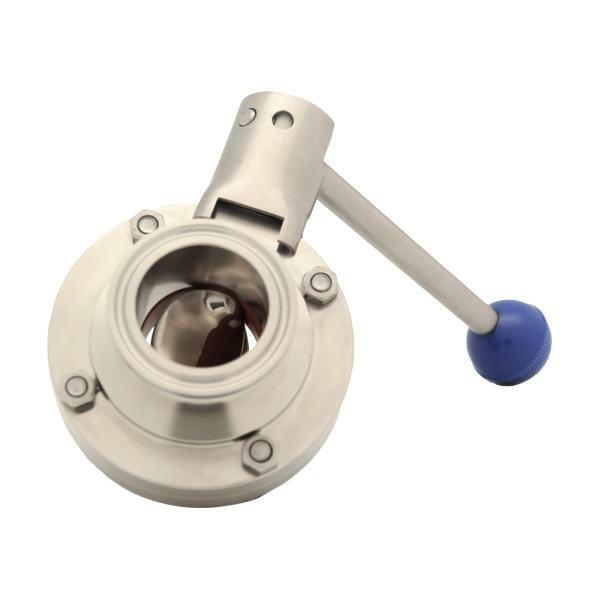 The opening and closing member of a sanitary butterfly valve is a disc-shaped butterfly plate, which rotates around its own axis in the sanitary valve body to achieve the purpose of opening, closing and regulating. Full opening to full closure of a butterfly valve is usually less than 900. The butterfly valve and butterfly rod themselves don’t have self-locking capabilities. In order to position the butterfly plate, a worm-wheel reducer needs to be installed on the valve rod. Using a worm-wheel reducer not only makes the butterfly plate have self-locking capabilities, which make the butterfly plate stop at any positions, but also improves the operating performance of valves. 1.Convenient, fast, effortless opening and closing; small fluid resistance; frequent operation. 2.Simple structure, small size, light weight. 3.Being able to transport mud; smallest accumulation of liquid at the opening of the pipeline. 4.Good sealing under low pressure. 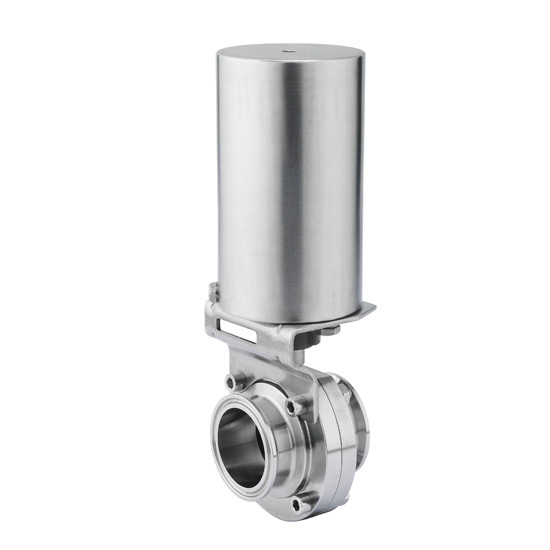 1.Small range of working pressure and temperature. 1.During installation, the valve flap must stay at the closed position. 2.The opening position should be decided according to the rotating angle of the butterfly plate. 3.For those butterfly valves with bypass valves, bypass valves need to be opened before opening the butterfly valves. 4.Installation should be performed according to the manufacturer’s installation manuals. There needs to be a solid foundation for heavy butterfly valves.